The vast improvements in technology over the years has certainly made a change in many areas. One of them is the way in which you create your resume. Now more than ever, there are more tools at your disposal for crafting a truly great resume. There are many ways in which technology has changed the game in how you create a resume. These days, it’s important to utilize certain keywords in your resume. This can help you to get your resume noticed more as important keywords can readily be detected on the Internet through search engine optimization (SEO). You want to reach a certain target audience and technology can help but using keywords that are relevant to your talents, expertise and experience. As a result, when you post your resume on job search websites or anywhere else online, you can ensure more traffic that can attract potential hiring managers. With all the technology currently available for creating a resume, you no longer have to rely on gimmicks that were used some years back. Job seekers would rely on things to make their resumes stand out more, such as paper that was another color rather than plain white. 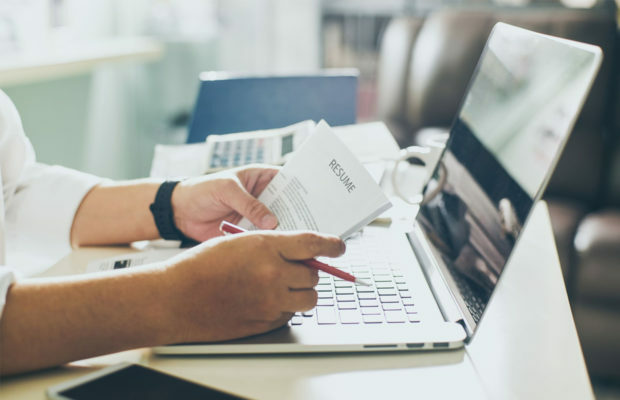 Gimmicks were usually not effective in grabbing a hiring manager’s attention, but people seeking jobs were loyal to this practice and continued using these tricks to try to get their resumes to stand out more so that they would be more easily and readily noticed. Technology that is used in creating resumes today don’t rely on gimmicks but instead focus on the content, which is the most important aspect. As stated in the last paragraph, the content of a resume is the most important thing. In the past, resumes did get noticed based on the way they looked. Many hiring managers merely skim a resume and determine whether it’s worth pursuing the applicant for an interview. Today’s technology can help to craft a great resume that is rich with content and clean in appearance at the same time. It has also changed the way a resume is written thanks to a number of tools. Technology can also help you to make your resume look more professional overall. This is due thanks to a number of templates that can appeal to hiring managers and employers alike. Advancements in technology over the years have allowed people to go from using a simple typewriter to create their resume to software processors specifically designed for resume crafting. LiveCareer has great resume templates that you might want to explore if you are looking to create an all-new resume or want to rewrite your existing one. Thanks to the array of templates, you can spruce up your resume and make it look professional to the point that it will be more readily noticed by headhunters. Creating or revising your resume is now easier than ever and even more convenient thanks to technology. It is even possible to work on your resume right at your fingertips on your smartphone or tablet thanks to a number of apps. There are apps that allow you to not only create your resume but search and apply for jobs as well. If you lead a busy life and are always on the go, you can easily work on your resume and job hunt no matter where you are any time of the day. Technology has impacted everyone’s lives in a number of ways. You can definitely benefit from the technology that has changed the way you write or revise your resume. Next Story → Are Free Website Builders Really Free?